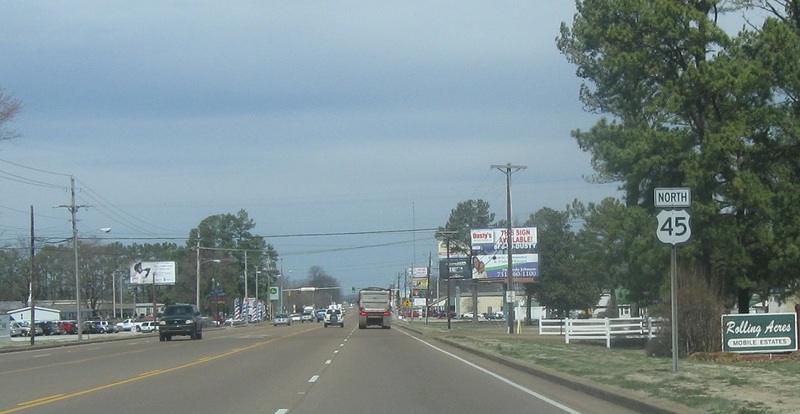 Reassurance shield after the I-40 junction. Reassurance shield as we get to the north side of town. 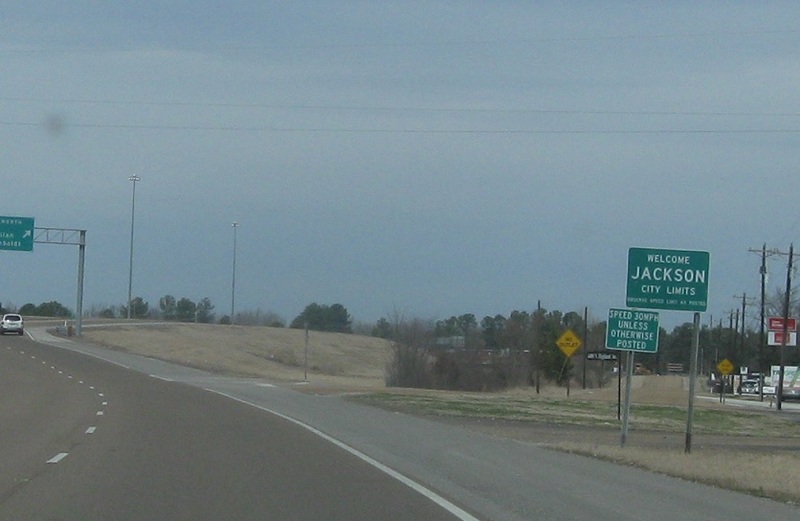 We’ll head out of the Jackson city limits, but stay straight to access US-45. And then we’ll get full welcome signage as we randomly enter Jackson for a few feet again. 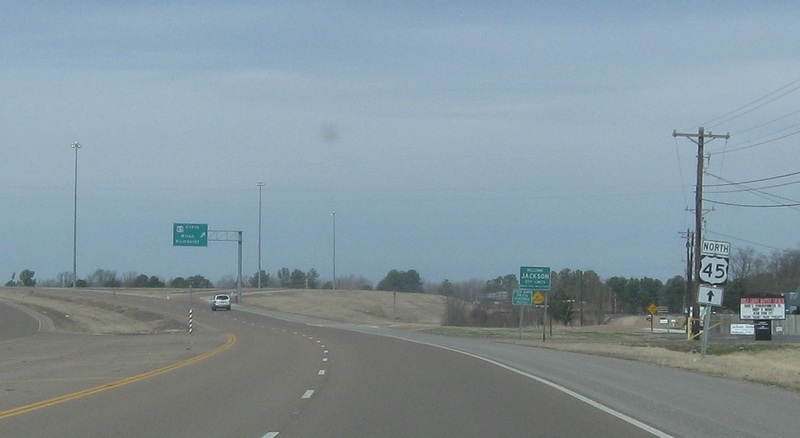 Exit right for US-45/TN-5/TN-186 north. 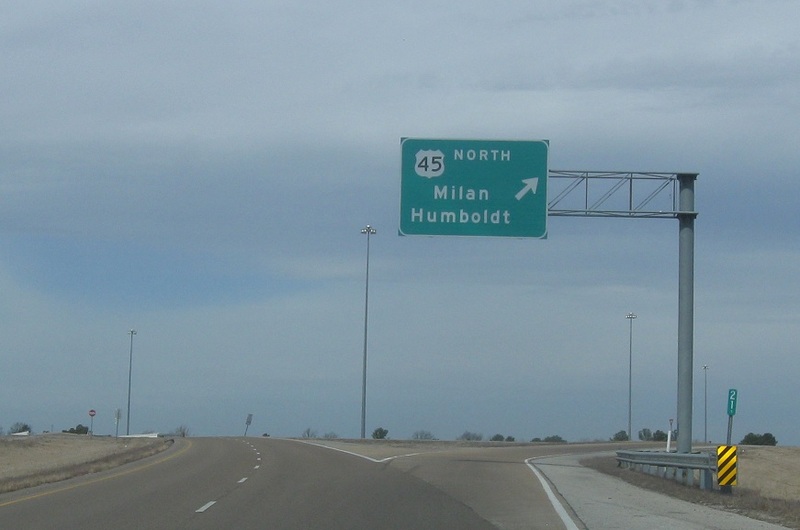 Stay straight and turn left to access the southbound bypass. 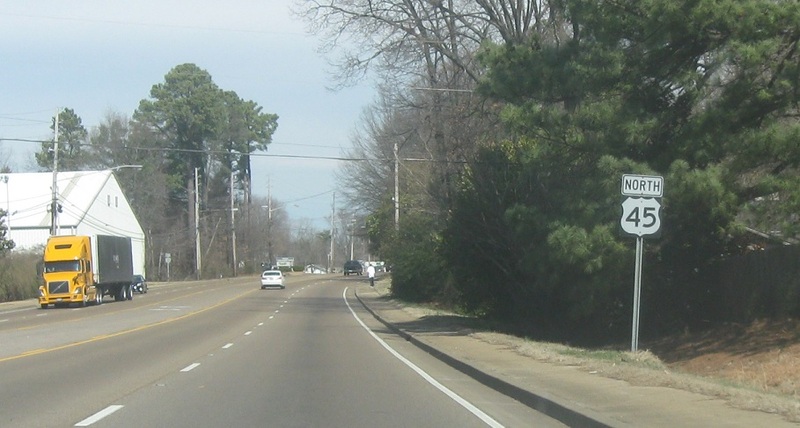 Tennessee 5 becomes a primary highway again.